Fatty Brit 4G networks slow down. Too much Bacon, perhaps? Brits clamouring to sign new mobile contracts to get their hands on speedier networks might want to pause for thought: 4G speeds have halved in the past year just as demand rose. This is according to a new market report from Which? — working in collaboration with OpenSignal. The mag said it used real data and real people to come up with its findings, unlike industry reports touting coverage maps based on computer modelling. 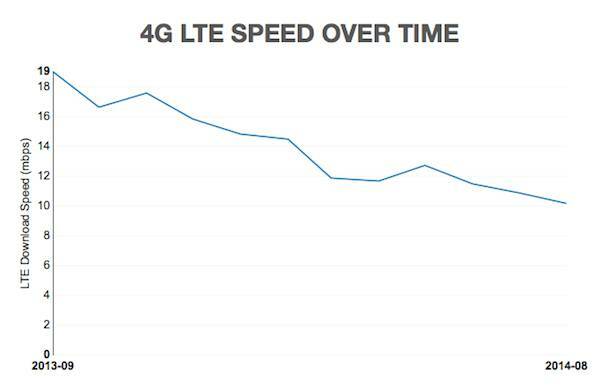 We ... found that average 4G speeds are slowing – from 19Mbps to 10.16Mbps in just under a year. The reason? It’s likely because more customers have signed up to 4G, thus increasing demand on the network and slowing speeds. The good news is that as customers continue to sign up, we won’t necessarily see speeds fall any further. That’s because providers are hoisting more masts to cope with the extra demand. EE had the best 4G LTE coverage, while Vodafone was found to have the fastest speed, Which? added.